Episode 1, The Email Strikes Back..
We had a full day today working on a different brand instead of my full time Scottish client. It’s been incredibly tiring as we didn’t really stop for 9 hours but we did get a load done that we’re happy with so hopefully the client will agree too! 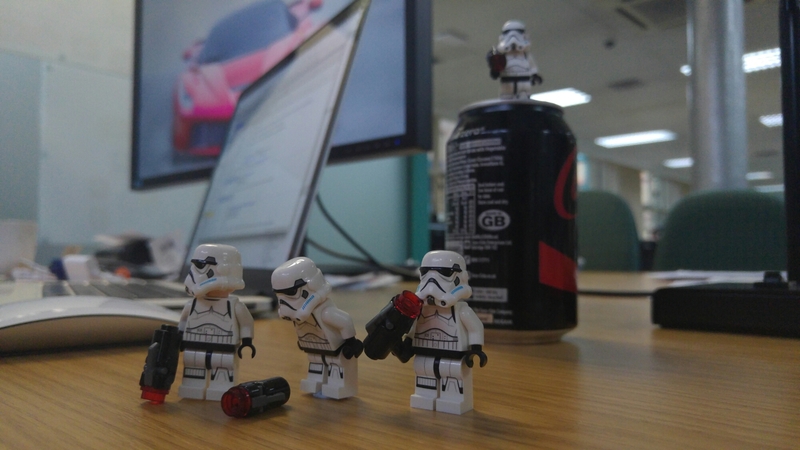 My colleague’s Lego storm troopers kept us occupied when we needed a quick break.. Ah the adventures they get up to when you’ve not looking..